Clint Bowyer is as big of a racing fan as anyone sitting in the grandstands or watching on television. The Emporia, Kansas native races in NASCAR, runs his own Dirt Late Model team, and has his motorhome television dialed into racing most of the time. He can’t wait for Sunday. Like everyone else, he will tune in early Sunday morning when Formula One takes the green flag in Monaco, followed by the Indianapolis 500 at noon. A few hours later, he’ll leave the couch to put on his Haas Automation Ford uniform and climb in his Stewart-Haas Racing (SHR) No. 14 Ford. Bowyer and 39 other Monster Energy NASCAR Cup Series drivers will battle for 600 miles Sunday night in the Coca-Cola 600 at Charlotte (N.C.) Motor Speedway. Bowyer has a rooting interest Sunday morning in Monaco. Haas F1 Team is owned by SHR co-owner Gene Haas and fields cars for Romain Grosjean and Kevin Magnussen. “I’ve always been a fan of F1 and admired what they do, but now that the boss has cars in it and is competing in it, you follow and pull for those guys even that much more,” Bowyer said. After the Formula One race, Bowyer will watch the Indianapolis 500 in his motorcoach from the infield in Charlotte. Normally, he’ll begin his sponsor and media obligations for the Cup Series race during the closing laps of the Indy 500, but he’ll keep a close eye on the ending. 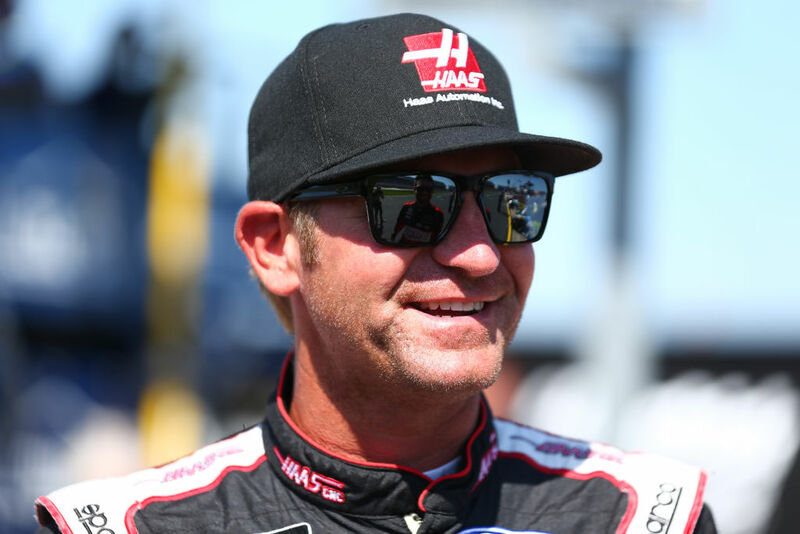 Bowyer is in his first season driving for SHR replacing three-time champion Tony Stewart, who retired from NASCAR at the end of the 2016 season. Stewart, who raced in five Indy 500s, plans to attend Indy on Sunday, then arrive in Charlotte before the start of the 600 race. Make no mistake – by the time the green flag drops in Charlotte for NASCAR’s longest race of the season, Bowyer will be all business. He won at Charlotte in October 2012 and owns two top-five finishes and five top-10s and has led 119 laps. Last week in the NASCAR All-Star Race, Bowyer finished 13th after winning Stage 1 in the NASCAR Monster Energy Open. It marked the third time in four seasons Bowyer advanced from the Open to the All-Star Race. Last week’s racing was about speed over a short distance. Sunday’s race is the longest the drivers will race all season. Bowyer said the strain of the extra distance is as much mental as physical. What are your thoughts on the 600? Do you have any desire to compete in the Indianapolis 500?